Bishnu Ram Medhi Government Law College, popularly known as BRM Govt Law College has published admission notification for LL.B. 3 Years 1st Semester course for the session 2013-14. Here, you will find all the details regarding the admission procedure. 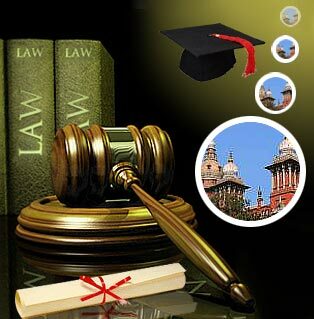 The college is affiliated to Gauhati University and approved by Bar Council of India, New Delhi. This is the oldest law college in the northeastern India, established in the year 1914. BRM Govt Law College has its own prestige as a pioneer institution of education in the field of Law. To be eligible for admission, candidates must be graduate in any discipline from a recognized University or institution and also he/she must have obtained at least 45% marks. For candidates belonging to OBC,SC and ST, this mark is 40%. The upper age limit of the candidates should not be beyond 30 years in case of general category as on 1st June, 2013. For candidates belonging to reserved category, the upper age limit is relaxed to 35 years. Application form can be obtained from the college office at Panjabari, near Shilpagram during 10 am to 3 pm. Issue of application form has already been started from 10th July, 2013. Completed application can be submitted at the college offices till 23rd July, 2013. Candidates will be selected for admission on the basis of an interview and oral Test. The list of eligible candidates selected for interview and oral test will be published on 25th July, 2013. The interview and oral test will be held in the new campus at Punjabari on 26th July, 2013 from 10 am onwards. The admission of the selected candidates will be held on the same day. So, candidates have to bring all the relevant documents and admission fee on that day.